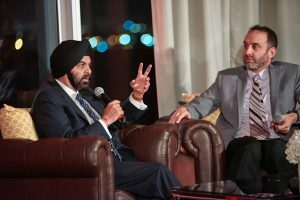 At last night’s USCIB 2017 International Leadership Award Dinner, USCIB members and representatives of the international community turned out to honor Mastercard President and CEO Ajay Banga and celebrate the private sector’s contribution to the United Nations’ Sustainable Development Goals (SDGs). 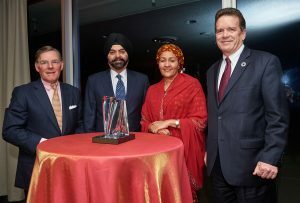 The dinner, which was held at United Nations headquarters in New York, drew over 220 high-level private sector individuals, UN dignitaries as well as press and featured keynote remarks by UN Deputy Secretary General Amina Mohammed. The leadership award, which was established in 1980, is presented to a leading CEO, international figure or institution, and recognizes outstanding contributions to global trade, finance and investment, and to improving the global competitive framework in which American business operates. In honoring Banga, USCIB also recognized Mastercard’s leading work in global financial inclusion. Upon accepting the award, Banga was joined by Eric Roston, chief sustainability editor with Bloomberg News, for a “fireside chat” exploring Banga’s thoughts on business leadership and sustainability. The gala event also served to showcase the private sector’s efforts to align its activities with the SDGs, including via a new video, spotlighting a number of USCIB member companies, for the Business for 2030 web platform launched by USCIB two years ago. 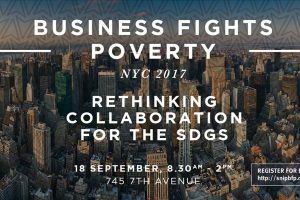 Please visit www.Businessfor2030.org to learn more about what companies are doing to achieve the SDGs. Banga’s other achievements include leadership roles as member of the U.S. President’s Advisory Committee for Trade Policy and Negotiations and as a founding trustee of the U.S. – India Strategic Partnership Forum. He also served as a member of President Barack Obama’s Commission on Enhancing National Cybersecurity. Prior to Mastercard, Banga was chief executive of Citigroup’s Asia Pacific. He began his career at Nestle in India, where he also spent two years with PepsiCo. 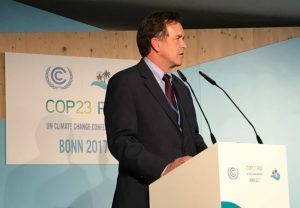 Bonn and New York, November 17, 2017 – As the Bonn Climate Conference wrapped up its work, the United States Council for International Business (USCIB) welcomed progress on priority topics for American business in the UN climate discussions. 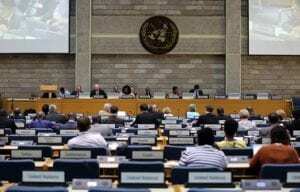 In particular, it noted that, after two weeks of intense negotiations, governments are moving ahead on transparency rules that will provide clarity and credibility across different national pledges to reduce greenhouse gas emissions and mobilize resources to address climate change. Throughout the meeting, USCIB worked closely with the International Chamber of Commerce and the Major Economies Business Forum to call for inclusive business involvement in all areas of the climate deliberations. The Bonn outcomes also further chart the way forward for assessment and dialogue on the progress of all countries to meet Paris Agreement objectives, known as the Talanoa process, throughout 2018. USCIB and its members have been on hand in Bonn to showcase American companies’ actions and solutions to reduce greenhouse gas emissions, mobilize investment and innovation, and inform the inter-governmental discussions going forward. Over 30,000 representatives from governments, the UN, NGOs and the business community attended the complicated technical talks to develop implementation rules for the Paris Agreement, including in the area of market-based approaches and carbon markets. The next UN climate conference will take place in Katowice, Poland in December 2018. USCIB promotes open markets, competitiveness and innovation, sustainable development and corporate responsibility, supported by international engagement and regulatory coherence. Its members include U.S.-based global companies and professional services firms from every sector of our economy, with operations in every region of the world, generating $5 trillion in annual revenues and employing over 11 million people worldwide. As the U.S. affiliate of the International Chamber of Commerce, the International Organization of Employers and Business at OECD, USCIB provides business views to policy makers and regulatory authorities worldwide, and works to facilitate international trade and investment. More information is available at www.uscib.org. The invitation-only event will bring together 100 senior business professionals and development partners for an inspiring and action-focused half-day event on how business, government and civil society are collaborating to deliver the Sustainable Development Goals. USCIB President and CEO Peter M. Robinson will be among the speakers. Click here to view the agenda and request an invitation. The September 18 event is part of a week-long series of events organized by USCIB and key partners around the theme of “Business Makes It Happen,” focusing the attention of global policy makers and other key stakeholders on the importance of effective private-sector engagement and participation in achieving the SDGs. More information on additional events coming shortly! Mark Prater, chief tax counsel for the Senate Finance Committee, spoke at the conference. Against the backdrop of new global tax rules developed under the BEPS Action Plan and efforts to advance tax reform in the United States, USCIB members and others from the business community gathered in Washington, D.C. on Monday and Tuesday for the 12th annual OECD International Tax Conference. Organized by USCIB in concert with the 35-nation Organization for Economic Cooperation and Development as well as Business at OECD (BIAC), the conference has grown into an annual must-attend event for tax practitioners, experts and regulators from around the world. With an eye toward the direction of possible U.S. tax reform, including reduction of the top corporate tax rate from the current 35 percent, Pascal Saint-Amans, director of the OECD’s Center for Tax Policy and Administration, told conference-goers that he expects most OECD economies to adopt corporate tax rates in the 20-30 percent range. Saint-Amans said there may be some exceptions, including in the UK, where top rates may drop below 20 percent. 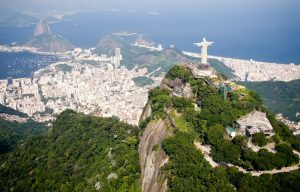 Over the course of the two-day conference, which took place at the Four Seasons Hotel, participants discussed tax policy trends, current tax reform, tax uncertainty, digitalization, increases in intangible assets, and dealing with tax-related disputes through arbitration. They also focused on transfer pricing as well as the OECD’s new multilateral instrument, signed today in Paris. As the Trump administration seeks to reorient U.S. trade policy toward bilateral agreements, bilateral trade deficits have been put forward as a marker of the health — or lack thereof — of U.S. commercial relations with a given country. 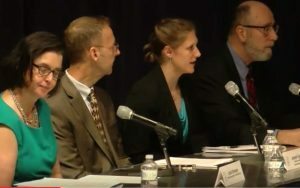 USCIB has taken up this issue in a recent statement to the Department of Commerce, as well as a public testimony that was delivered by USCIB’s Director for Investment, Trade, and Financial Services Eva Hampl on May 18 at the Department of Commerce. In her testimony, Hampl emphasized USCIB’s view that trade deficits are a product of broader macroeconomic factors, not trade policy, and that the trade balance should not be viewed as a straightforward indicator of a country’s economic health. “While it is useful to address trade barriers that impede access for U.S. goods and services exporters to specific markets, we should not set up bilateral trade balances as the metric of successful trade policies,” she said. 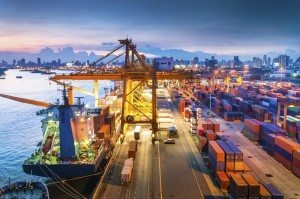 Examine the trade deficit within the broader set of macroeconomic factors that determine it and include all elements of trade in the analysis, instead of focusing solely on bilateral manufactured goods trade balances. Work with experts around the U.S. Government, international organizations, and academia to get the best data possible to guide the best policy making. We need much better measurements of real trade flows and value added, including in complex global supply chains and in services. We also need better data on FDI flows, both inward and outward. Move aggressively to open foreign markets, and identify and combat foreign trade barriers to increase U.S. exports and improve our trade balance. We support the use of appropriate enforcement tools including the WTO, bilateral and regional trade agreements, U.S. trade laws, and efforts to open those markets and to combat illegal foreign subsidies and dumping into the United States. Accelerate U.S. Government “commercial diplomacy” efforts to support U.S. companies competing to win deals overseas. Reform the U.S. Government’s economic policies, including tax reform, regulatory reform, and energy development, to bolster the competitiveness of our firms, allowing them to win more and bigger deals overseas. Cross-border trade in digital goods and services has grown 45-fold over the past decade. How can policy makers and the business community work together to ensure that new technologies and digital applications can lead to a more prosperous, productive, inclusive and socially beneficial world? And what lessons can be learned from current discussions and related work within the 35-nation Organization for Economic Cooperation and Development (OECD)? 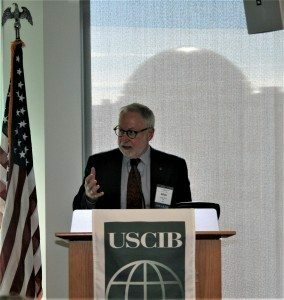 This was the focus of a conference today in Washington, D.C., “Facilitating Digital Transformation: The OECD’s Role,” organized by the USCIB Foundation, the educational arm of the United States Council for International Business (USCIB), in partnership with the OECD and Business at OECD (BIAC). OECD Deputy Secretary General Douglas Frantz identified several factors as key to ongoing digital transformation: improved communications infrastructure and services, new and innovative business models, improved consumer trust and privacy protection, effective policy making, and a robust approach to the challenges and opportunities posed by improvements in artificial intelligence (AI). On the latter point, he proposed that the OECD work toward some sort of policy instrument to address AI. 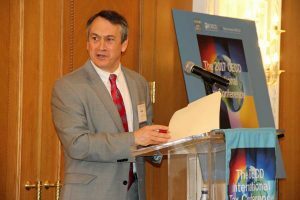 Andrew Wycoff, director of the OECD’s Directorate for Science, Technology and Innovation, outlined the OECD’s work to assess the G20 economies’ uneven progress to date toward enabling the digital transformation. He said the OECD’s upcoming policy recommendations would focus on the importance of boosting investment in digital infrastructure, ensuring competition in the ICT sector and the broader economy, and establishing sufficient trust in the digital economy while also making it truly inclusive. 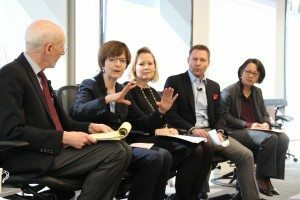 During an industry roundtable on emerging technologies, Jacqueline Ruff, vice president for international public policy and regulatory affairs with Verizon, said public policy will be important to remove barriers to the deployment of fifth-generation wireless technology, while creating a pro-investment environment. “They key to 5G will be smart communities,” she stated. Other conference panels examined questions of equity and potential negative effects of digital technologies, as well as ways to enhance trust in an increasingly connected world. Organizers said the event would help steer discussion toward practical measures to maximize the benefits of new technologies. Panelists also focused on jobs, as well as education and skills-development challenges and opportunities, posed by digital transformation and the efforts by companies, such as IBM, to create “new collar jobs” enabling a segment of workers in more mature industries to become productive participants in the digital economy. New York, N.Y., February 22, 2017 – The United States Council for International Business (USCIB) applauded the entry into force today of the landmark World Trade Organization (WTO) Trade Facilitation Agreement (TFA), which will reduce the costs of trading across borders and lead to increased U.S. and foreign exports and jobs. The TFA, approved at the WTO’s 2014 ministerial in Bali, Indonesia, provides enforceable government commitments, which will reduce red tape at the borders, speed movement of goods internationally, reduce costs, increase exports and create jobs. The WTO has 164 member countries, and its rules require two-thirds of its members to ratify and pass laws making necessary changes in their customs procedures in order for the TFA to go into effect. Today, Chad, Jordan, Oman and Rwanda submitted their ratification notices to the WTO, achieving the two-thirds threshold. McGraw, who also serves as honorary chairman of the International Chamber of Commerce (ICC), the world business organization, and chaired the President’s Advisory Committee on Trade Negotiations, has been a staunch advocate for the TFA and for multilateral trade liberalization in general. In addition to promoting the benefits of the TFA, USCIB has worked to secure overseas ratification of the agreement through bilateral meetings with numerous governments. It has also done so via its role as U.S. affiliate of ICC, which mounted a global campaign to secure ratification of the TFA.